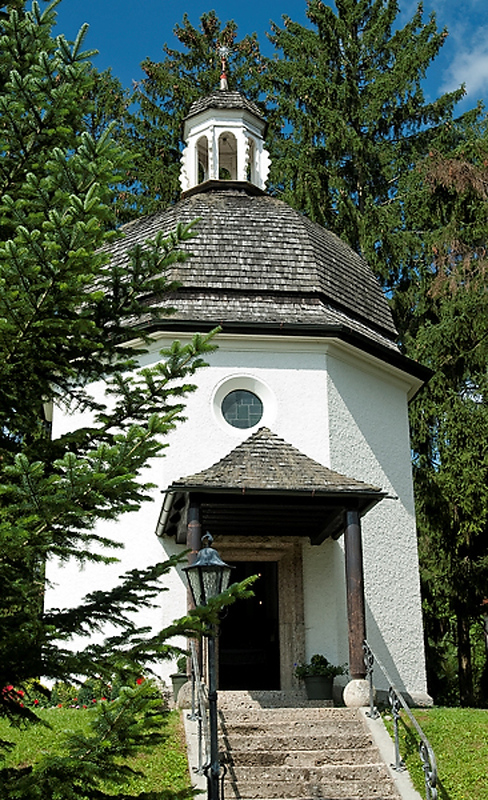 “Silent Night” was composed in the little town of Oberndorf, about a twenty-minute drive north of Salzburg. 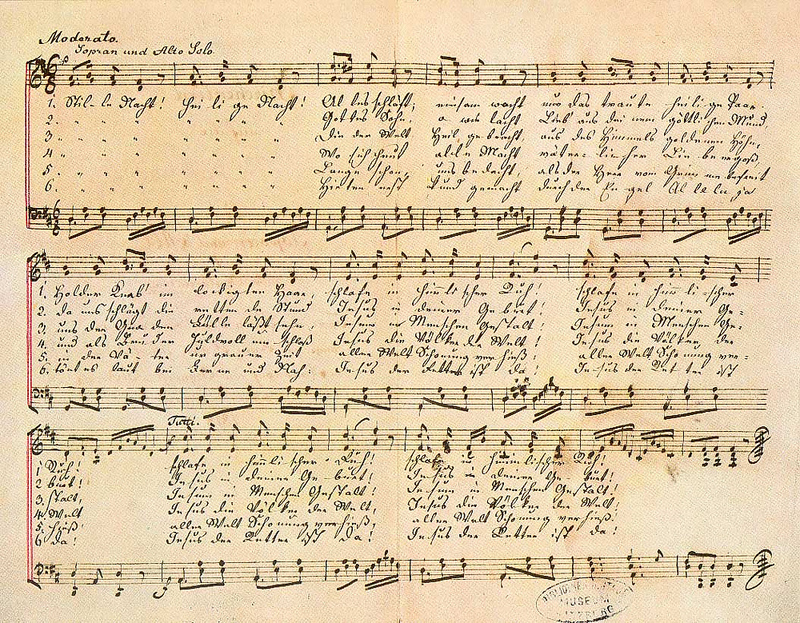 Josef Mohr wrote the lyrics and Franz Gruber composed the music. Both grew up around Salzburg. Silent Night Chapel. The original church where “Silent Night” was first performed in 1818 was torn down in 1906. 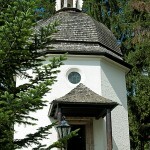 This little chapel commemorating the hymn was erected in 1924-37. 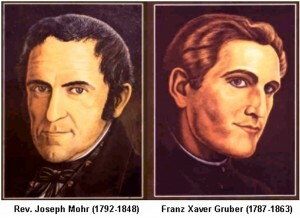 It contains two lovely stained glass windows, one dedicated to Gruber and the other to Mohr. Next to the chapel is an interesting museum and nice gift shop. 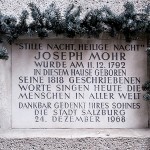 Mohr’s Birth House. 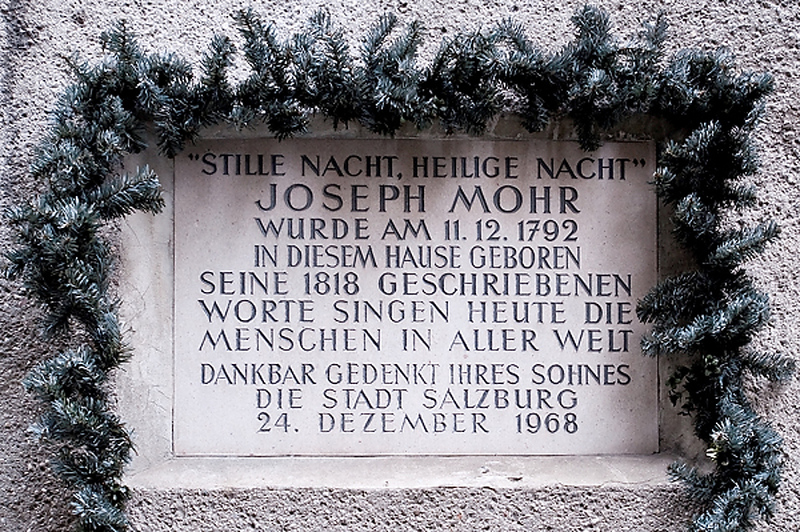 For many years, people believed that Joseph Mohr was born in Salzburg on Steingasse 9, and the plaque shown left was on the building. However, historians recently discovered that he was born at Steingasse 31, and that building does not have any memorial to make the spot. 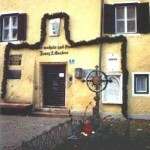 Salzburg Museum. 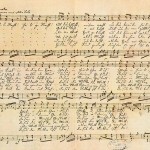 The Salzburg Museum owns one of the first handwritten copies of “Silent Night”. The Silent Night Museum. In Hallein, a town known for its salt mines near Salzburg, the Silent Night Museum is in Gruber’s home where he lived after finishing his post near Oberndorf. Every Christmas Eve, “Silent Night” is sung accompanied by Gruber’s original guitar. You can also read a series of blogs that tell the story of “Silent Night”.